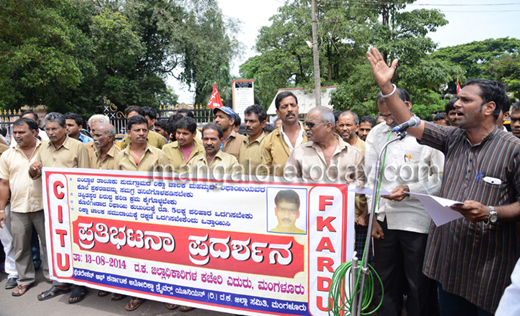 Mangalore, Aug 13, 2014: A vehicle rally and a protest was organised by the CITU in front of the DC office here on August 13, Wednesday to condemn the recent murder of autorickshaw Rifayi at Nettarakere near Bantwal. Several autorickshaws participated in a rally which was taken out from Valachail upto the DC office where a protest meet was held. 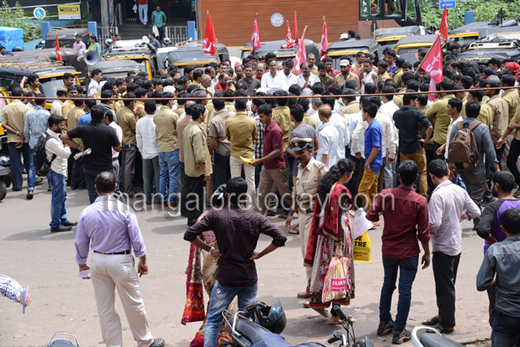 Speaking on the occasion, Sunil Kumar Bajal, District President of CITU, said the recent murder of Mohammad Rifayi as well as the Rajesh Poojari murder case has instilled fear in the minds of the autorickshaw drivers. He also urged the police to undertake a thorough probe into the case so that the culprits could be nailed. He demanded a compensation of Rs 5 lakh to the family of Rifayi and protection to autorickshaw drivers. Muneer Katipalla, State President of the DYFI, charged the State Minister UT Khader of being apathetic towards the murders and also for his failure to visit the bereaved families. 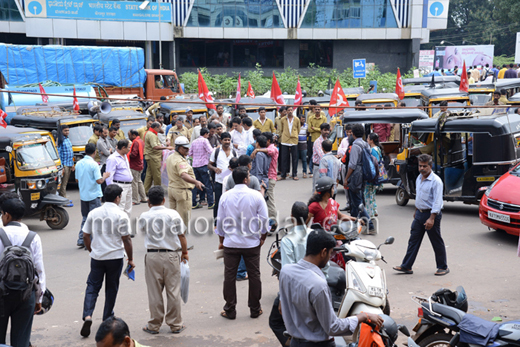 Leader of Autorickshaw drivers’ union including LT Suvarna, Manjunath, Yogendra and others were part of the protest.